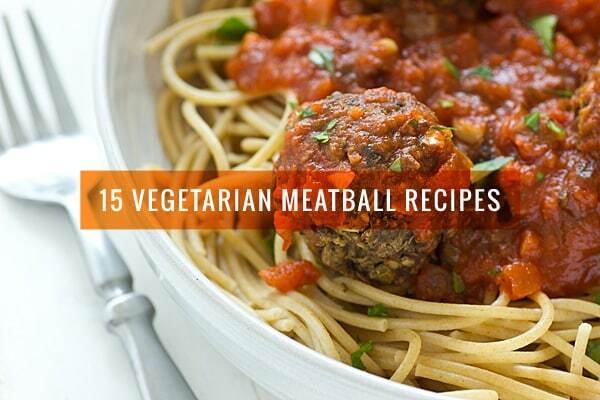 Are they vegetarian meatballs? Or no-meatballs? Or faux meatballs? Or veggie balls? No matter what you call them, having one go-to (not-)meatball recipe is essential for every vegetarian cook. While you can buy them at the grocery store, many brands of meat-free meatballs are highly processed, with long lists of ingredients–who needs that when you can make your own with ingredients like beans, nuts and vegetables? Description: Pair these Greek-inspired meatballs from Amuse Your Bouche with pasta and sautéed veggies tossed in olive oil. YAY! Love this roundup. The broccoli parmesan are already a household fav. Going to whip up a batch of lentil mushroom today and eggplant ones next week. Thanks for always bring us fresh, exciting whole food recipes. Can’t beat a good meatball! 😀 thanks for including my lemon and feta chickpea meatballs! Thanks for sharing this! Passing it along to some of my readers. Awesome list! I am ALLLLL about the veg balls lately..and I never know what to call them either! I think it’s the 12 year old boy in me, but putting any noun in front of the word balls just sounds weird. I really feel like eating some meatballs today, as a vegetarian I will definitely try one of those! The Vegan meatballs look sooooo good! Especially because it is animal friendly and there was no suffering involved!